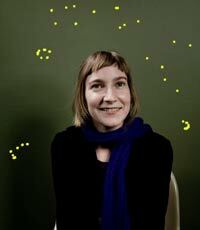 This episode we are very pleased to bring you Sheila Heti. Both intense and delightful, Heti's work lures us in with brilliant reimaginings of powerful archetypes, then stings us with endings both surprising and inevitable. The result is a literature of the twilight world between reality and fantasy that instructs as it amazes. In "Autobiography of a Clown" Ms. Heti performs a kind of literary origami to fold and twist the story of a clown into a powerful extended meditation on a beautiful world we have lost, and the painful truths that remain the same. Please enjoy "Autobiography of a Clown." For more from Sheila, you can listen to a lecture she gave at the University of Alberta on the Apostrophe Cast blog and visit her website.